Big, small, BIG – size does not define a design hotel. It is the meeting place of form and function; a style that is unique, technology that is responsive and an environmentally considerate build. 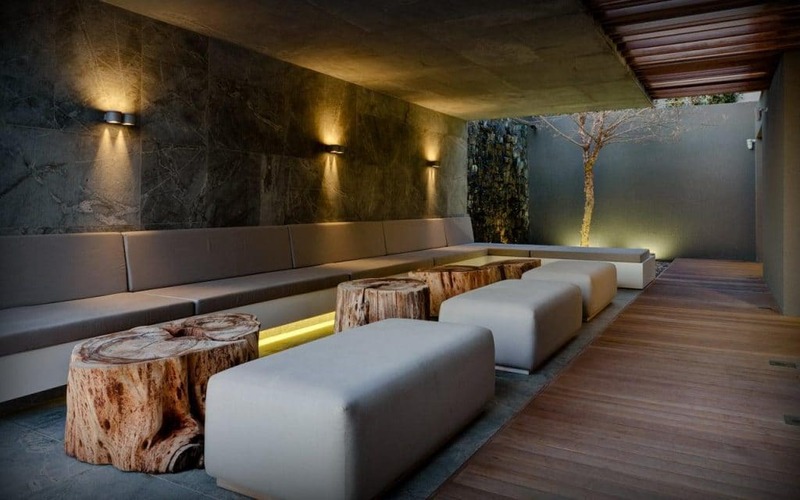 Whether your design preference is modern, classic or retro, Cape Town caters to all tastes. Walk with me. The entrance is tiled with red marble flecked with glitter. In the elevator you find plush, golden chairs. The spa, bars and lounges are unapologetically glamorous; the bedrooms pared down by comparison with your very own pillow menu. TripAdvisor voted Villa Zest the Trendiest Hotel in the World. A luxurious boutique hotel, the style is retro with quirky traits like a 70’s electronics collection. 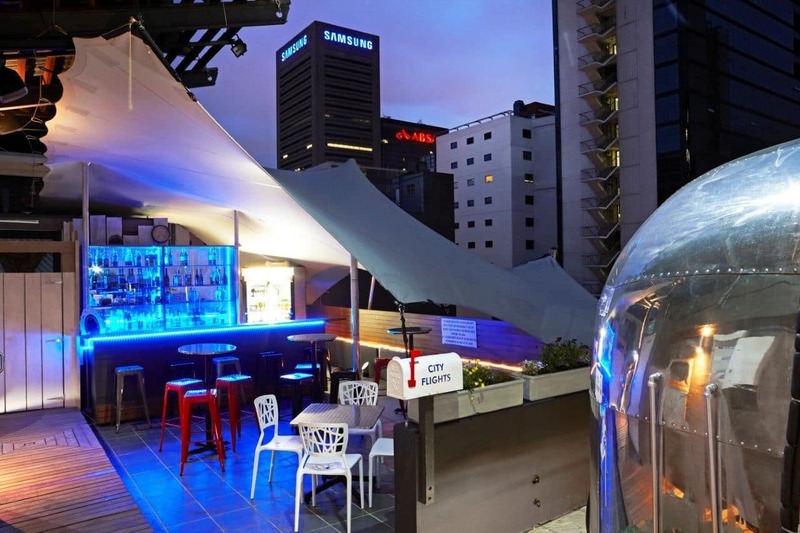 The rooftop garden boasts a 360° view of Cape Town. At the Fire & Ice Hotel, they take service levels very, very seriously but just don’t feel the same about life. The tone is tongue-in-cheek and regular events like Rockabilly Thursdays make the hotel popular with guests and locals. There’s nothing trashy about these trailers! The hotel owners brought seven vintage Airstream trailers over from the USA and put them on the roof of the hotel. As one does. Each trailer is individually designed with South African landscapes like ‘Rooftop Safari’ as theme. This hotel promises the grand life. Float your worries away in the hanging pool while listening to underwater music. The rooms are modern, facilities like a 24-hour deli and 24-hour room service plus the super-fast Wi-Fi connection make this a popular choice for busy executives. This luxurious, four-star hotel is Africa’s first carbon-neutral hotel. During a one-night stay, the hotel’s eco-friendly design and practices will help you offset 27.4 kg of carbon, save 76 kW of electricity, divert 2.1 kg of waste and save 492 litres of water. Now that’s a good nightly rate. Contemporary in style, Harbour Bridge has floor to ceiling windows, a rooftop pool with sundeck and views of the harbor. The hotel is located next to the Cape Town International Convention Centre (CTICC), built over the Roggebaai Canal at the entrance to the V&A Waterfront. Design elements like steel, wood, glass and slate give this hotel its hip feel. The architecture is modern and the location makes the most of the mountain and beach views. Camps Bay, our own Riviera, is renowned for its nightlife and the opportunity to do celebrity spotting cocktail in hand. Manna Bay luxury boutique hotel has a gate that leads directly from their grounds to the Table Mountain National Park. Each room is uniquely and opulently decorated with themes like Flamingo, Orchid and Persia and equipped with state-of-the-art technology. Take High Tea in the lounge, relax in the outdoor pool or browse in the library filled with African travel books. An eclectic mix of old-world charm and sophistication, the Cape Milner boast Art Deco architecture – with some Victorian finishes – and a trendy new Glass Lounge. African design, textiles and crafts take pride of place in this boutique hotel.